I keep saying fat has arrived in Korea but of course truly fat Koreans are still rare and nothing compared with the fatties of the USA or UK. Generally, Korean fatness is chubby rather than humongous but no doubt this will gradually change. In a recent OECD report, Korea was placed 30th in terms of obesity in the world’s top 33 most economically developed countries. On Sunday morning I decided to walk up the mountain and watch the sunrise. I wasn’t quite early enough and actually reached the point where the mountain trail begins, as dawn was breaking, at about 6 am. But on leaving my house I was greeted by total darkness. 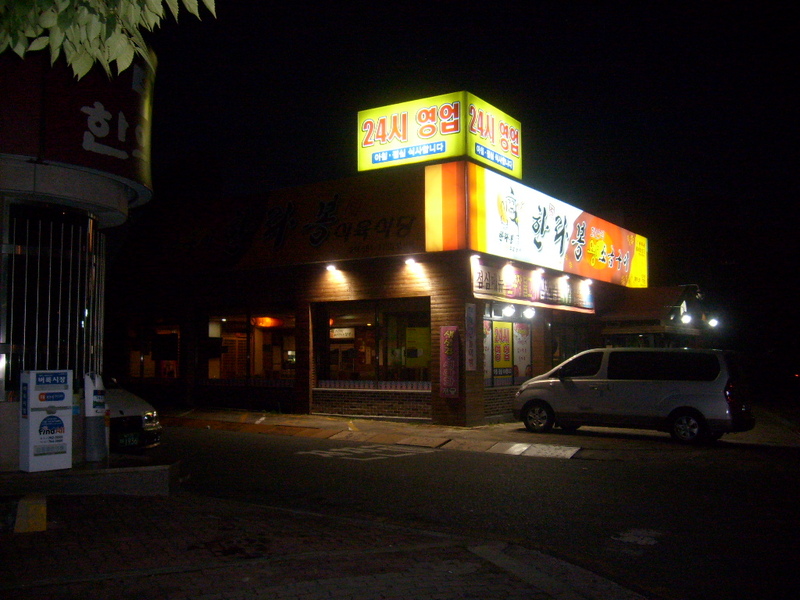 Of course, it’s never quite quiet in Korea and near my house a 24 hour restaurant had customers who were either finishing off last night’s party or having an early breakfast. Even the small park by my house had a few visitors. The point at which Warayong mountain trail begins is directly opposite the municipal sports center and swimming pool with adjacent football pitches and tennis courts. As dawn broke there was already a football match underway and around the pitches I counted twenty two people briskly walking. 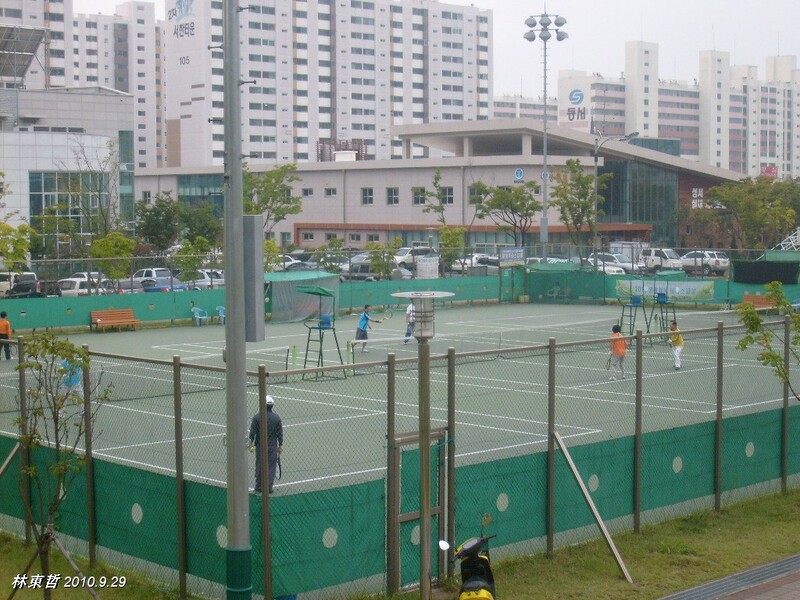 As is usual in Korea, they were mostly middle-aged and older. Even early in the morning there are people on the trail. 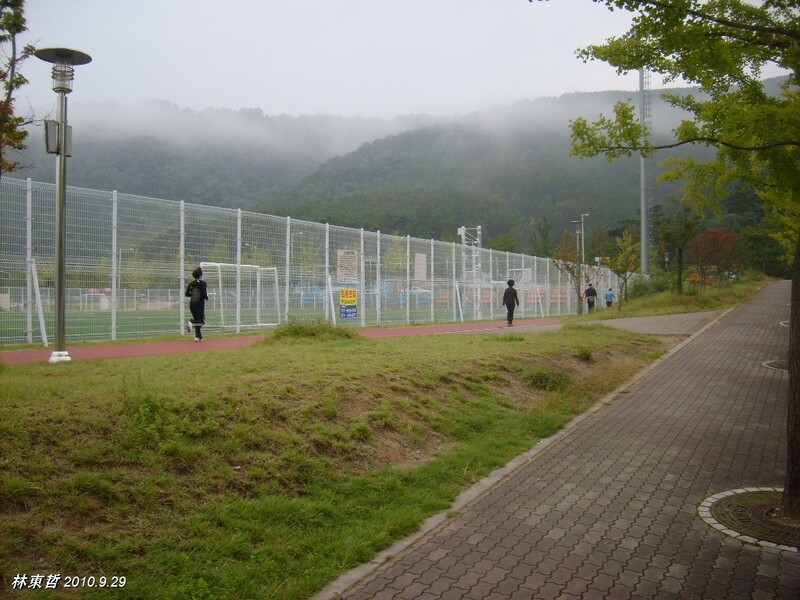 Koreans are quite obsessed with mountain walking and even the big climbs, up larger mountains, are perceived as a walk rather than gruesome exercise. 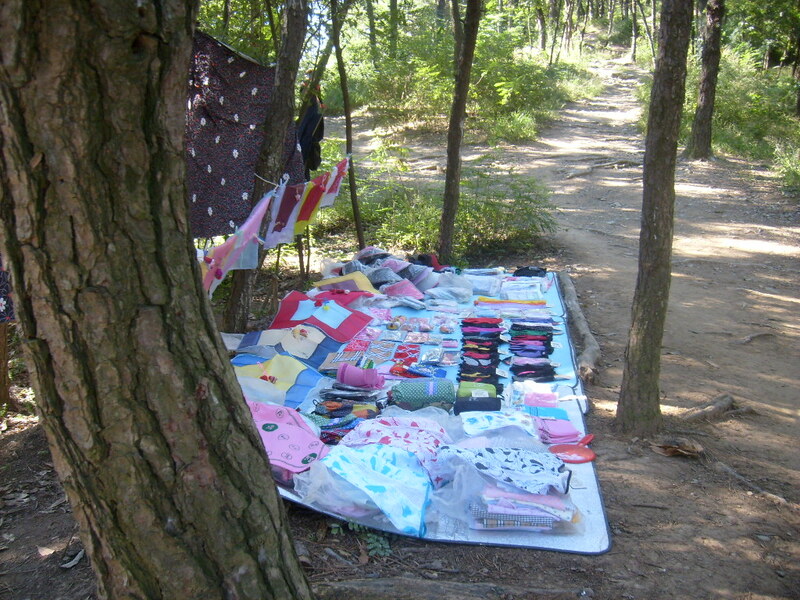 Most Koreans have the paraphernalia necessary for a trek in any season and in any weather: walking boots, breathable clothing, hats, water bottles, walking sticks and hankies or towels to mop up the sweat. Once in the mountains, especially in the morning, it’s not unusual to hear people doing a Korean type of yodel and I have even heard someone practicing a trumpet. 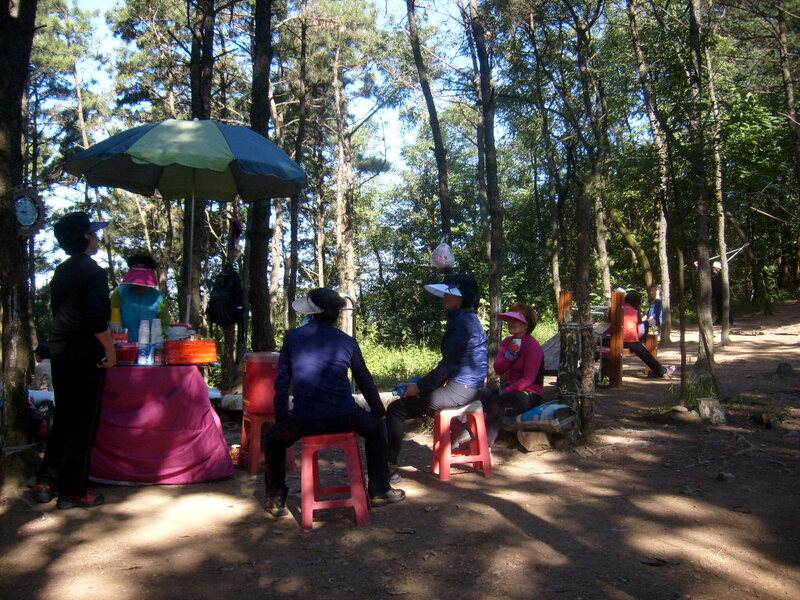 After reaching the Dragon’s Head (용두), the crown of the Warayong Mountain, I walked a little further to where the refreshment stall is and there find twenty people, again mostly middle aged and over, working out on the exercise machines as well as a number of people waiting for the vendor to start serving. Children or young people are not as prolific on the mountain trails, they are usually too busy studying but in fairness, many will do one of the various martial arts or other sports. Walking up the mountain taxes me enormously and I frequently have to stop and catch my breath. However, I have yet to see a Korean pensioner as knackered by the mountain climb as I am. 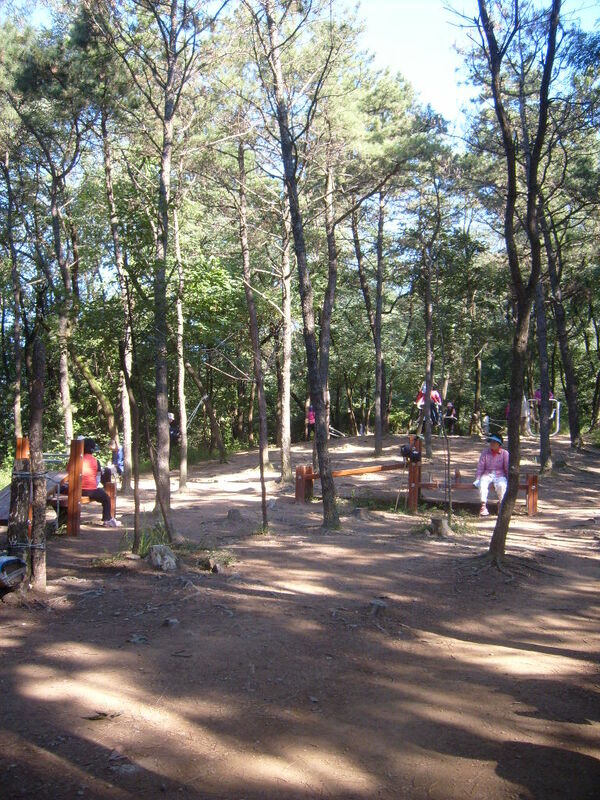 Indeed, for most Koreans, the Dragon’s Head is the point at which you begin stationary exercises, or climb the next peak, in either case, it is a warm-up. For me however, it signifies the climax of my exercise routine and once I have had a little sit down and a cup of coffee, it’s downhill all the way home. I wish I was back in Korea with hills and Kimchi. 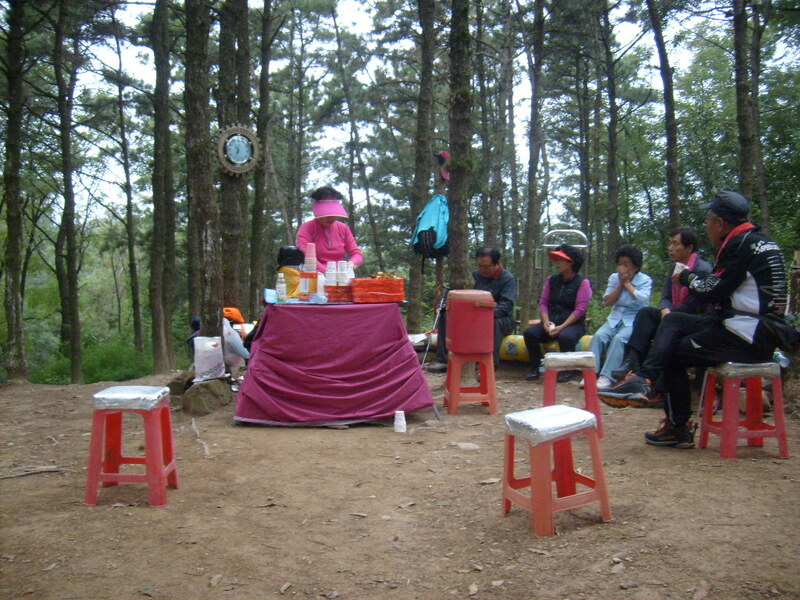 It is true that most people in Korea climbing hills are well dressed for the occasion. What really hit me to the ground, however, is that young people were not. 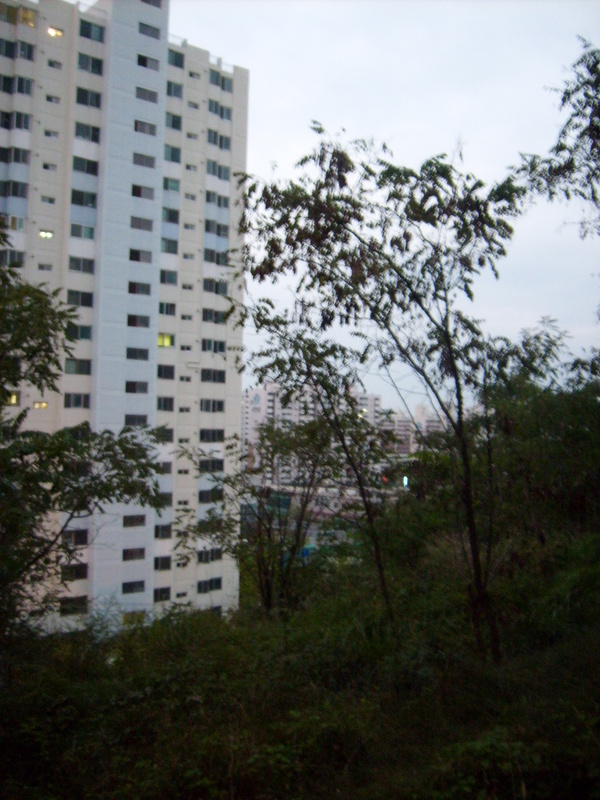 I especially remember once climbing Gwanaksan (Seoul), trailing from Sadang to Gwacheon. It was a hard climb at times. Us measly westerners definitely thought so, but also some of the well dressed Korean pensioners broke some sweat in the heat. What was so amazing was the two young girls, probably high-schoolers skipping class or the like, who came after us walking up the hill. I say walking, because that is what they were doing. They wore high heals, short nice looking skirts, designer handbags and cute little hats. And they moved like if they were on an escalator! They swooshed past us as we were climbing a near vertical wall. We were doing our best to cling to whatever was sticking out from the stone wall, but they were calmly walking up, using no hands, and upon reaching the top, they easily jumped the gorge that we went a hundred meters to get around. I’m way too tall and large to be able to buy the appropriate clothes here so I often feel totally under-dressed when I’m up the mountains. Strangely, on my last visit I saw a guy dressed in suit and tie, as if on his way to work – and he stopped to do some knee bends and sit ups! Thanks!